What's the biggest challenge you're facing at the moment? As part of our plan to be closer to New Zealand business, we've been out and about talking with people from a wide range of industries, hearing about the challenges and opportunities you're facing. The recession has been tough for business and while we may not be singing about the recovery from the rooftops just yet, businesses are breathing a sigh of relief at the prospect of better times ahead and hoping that the IMF’s discussion this week around ongoing recession doesn’t become a reality. For parts of the business community the “International Festival of the Oval Ball” has been timely in offering business new markets and possibilities. As we talk with business, a key theme we keep hearing is the need to keep and also find more customers. Diversifying into the online space has opened up a global economy for many businesses, bringing with it new markets and new challenges around technology, 24 hour business days and for exporters, the NZ dollar’s current highs. 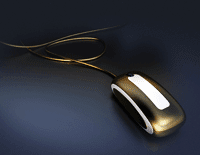 Customers are embracing the online environment, as this recent article discusses. The recent harder times have forced us all to be more creative in our approach to business as we work harder, smarter, faster and leaner. What we’re hearing is that, on the whole, you (and so do we) want to simplify how your business operates and interacts. So thanks to those people who've taken the time to talk with us so far. What's super important for us is that these conversations need to be ongoing, not a one-off, so that we stay in touch with what's happening in your world. We'd love to hear from you any time - whether you'd like to share more about what's happening in your business, industry, town, an idea for New Zealand Post to make business easier for you - drop us a line at redline@nzpost.co.nz and we'll make sure your email gets to the right people. Every business is different. What are your key challenges at the moment? Keen to hear your thoughts. If you thought barcodes were a great technological invention, then you need to read on… as something very innovative is going on in the world of product codes. It’s here in the form of a QR code – a high-tech version of the barcode that can be scanned by a smartphone camera (such as an Android, Blackberry or iPhone). If the functionality isn’t already built into your smartphone, you’ll need to download a QR reader application. Once scanned, the QR code reveals a whole heap of information about the business that has created it. One little square of cleverly put together patterns can provide your customers with a link to your website, details of a free offer or an invitation to an event. The marketing possibilities are huge. You can add one on every product on your website detailing everything that your customers need to know, including who to call to place an order. You can place QR codes on any of your marketing material – flyers, posters, magazines – you can even add one to your business card. QR codes are really taking off – and we’re starting to use them too – as more and more businesses realise their value and how easy they are to create for free. Several websites, such as mashable.com will walk you through the steps, and suggest free QR code generators and readers to get you started. Do you use QR codes in your business? 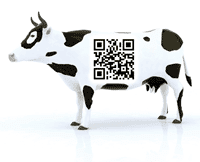 Have you found examples of QR codes which have been particularly effective? Keen to hear your comments. Last week we talked about the rise of the C'office - and judging from the comments many of you are taking advantage of this new phenomenon. But if you don't have a physical office, where do you get your mail delivered to? Having a PO Box is great if you work from your home office or take your laptop or iPad to meetings at your local café. 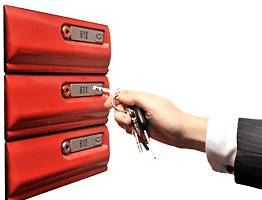 A PO Box number not only looks professional but it can also lend credibility to your business. And it’s secure and convenient – since you can pick up your mail whenever it suits you. And if you move house, you don't need to change your business address. Check the availability of PO Boxes (and Private Bags) in your area and find out more at www.nzpost.co.nz/pobox.